I hate political, or personal, drama—it’s rather an odd thing for a Chicago woman of Irish descent, born-and-raised as a Cubs fan, but that’s just the way I am. I got all three of those traits, along with my normally low blood pressure, from my Grandpa. But today I can feel that blood pressure rising, and not at a good time. I had a heart attack two years ago, and breast cancer surgery just yesterday, and then BAM! Today I get a news alert that the Trump Administration just rescinded the ban on lead ammunition and fishing tackle in our National Wildlife Refuges! It took the Obama Administration almost 8 years to enact that ban, in large part because special interest groups fought so hard to prevent it, led of course by the NRA, which fights against any and every regulation that could in any way protect human beings, Bald Eagles, and other living things from being at the wrong end of the firearms the NRA so fetishizes. Even as its membership declines, the NRA’s actual power seems ever growing, thanks to its main contributors—gun and ammo manufacturers, who have long stirred public paranoia to keep sales high. After every mass shooting, ads stirring fears of gun confiscation surge, with gun sales to match. Even optics retailers see a surge in business after these mass shootings, due to the surge in sales of rifle scopes to put on many of those new rifles. This seems ironic because one would think guns sold for self protection would be expected to be used at closer range, but in our society, profit trumps reason. The NRA and gun manufacturers invest a huge amount of money each year for lobbying and running expensive, vicious commercials against politicians who don’t toe their line. In one of the first votes in the new Administration, Congress rescinded Obama’s order to prohibit gun sales to social security recipients who are on disability for mental illness, and Trump signed it, even though the prohibition clearly provided a mechanism for those on disability for mental illness to appeal if their mental illness did not make them dangerous. Every time a shooting is publicized, gun and ammo manufacturers get more money, because they’ve been so effective at hammering in their message that guns make us safer. They certainly do make some people safer, especially those living in isolated, rural areas who grew up with responsible parents teaching them how to operate and store guns safely. But in most areas, and for most people, guns absolutely do not make people safer. In 2015, toddlers three years old and younger, killed more Americans than terrorists did. And in both 2015 and 2016, at least one person a week has been shot by a toddler in the United States. The dangers of lead ammo and tackle to wildlife have long been established. Hunters who were genuine conservationists fought long and hard to require non-toxic shot for waterfowl hunting, even as less conscientious hunters and of course the NRA fought strenuously against it. By 1971, mountains of data and scientific studies proved that lead shot was a leading cause of mortality in ducks, geese, and swans, some of which dabble for food in the muck, and all of which pick up “grit,” including much of the lead shot that rains over wetlands during hunting season, to help them digest their food. One or two pellets of ingested lead, ground up in the gizzard, shoot toxic levels of lead into a bird's blood, killing many outright, and weakening others to make them less resistant to avian cholera and other diseases. Yet it wasn’t until 1991, two full decades after all that data started piling up, that the U.S. Fish and Wildlife Service finally banned lead shot for waterfowl hunting. We also have abundant data that lead shot and bullets poison upland birds and other wildlife. Some pick it up on the ground, and others, especially Bald Eagles and other scavengers, in the carcasses of game animals that eluded the hunters or in the gut piles left behind. The number of Bald Eagles that are dead or severely weakened by lead poisoning spikes at rehab facilities every year during hunting season. There is also abundant evidence that the families of hunters who use lead ammo, especially lead bullets for deer, are exposed to dangerous levels of lead when they eat that game. Bullets fragment into tinier pieces in what's called a "snowstorm" when they hit a deer at high impact, and some tiny fragments are virtually impossible to detect and remove. Most food banks have stopped taking venison for this reason. So human beings are also at risk, and not just random people, either—the very spouses and children of the hunters who use it. Yet even today, many hunters as well as the NRA fight strenuously against any regulations to prevent this clear and present danger to wildlife and people. Gun and ammo manufacturers don’t care about that kind of collateral damage—their focus is on selling guns and ammo—the more, the better. They're not the ones publicizing the dangers to people or wildlife. Instead, they focus on that sacrosanct Second Amendment—the one that starts with the words, “A well regulated Militia, being necessary to the security of a free State,” and do their best to stir paranoia that any regulation at all means that the government is coming for your guns. It’s so frustrating when an obvious solution to any serious problem is held hostage by one gigantic special interest group. 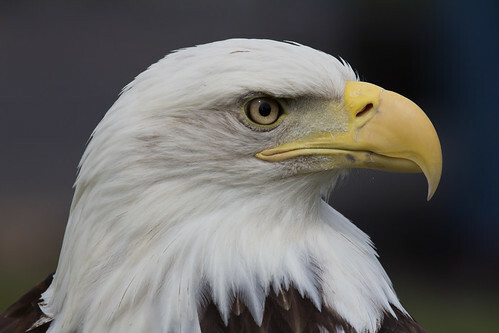 And in what alternate universe is it not a problem when hundreds of Bald Eagles, along with other wildlife and human beings, are poisoned by lead every year? I was dismayed about the election of a man who has in his own real estate career fought strenuously against important environmental regulations, and last year promised in his presidential campaign to dismantle our only safeguard protecting clean air and water, the EPA. I had no idea he was going to set us back so dangerously with regard to lead poisoning on our National Wildlife Refuges as well. 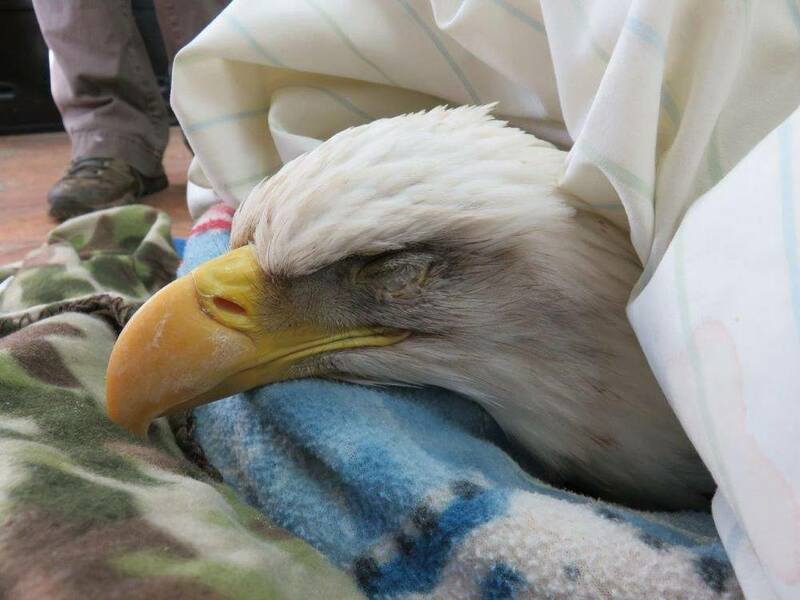 If my blood pressure is rising, I can’t even imagine how this feels for the rehabbers who have held magnificent Bald Eagles in their arms as their lives ebbed away. Two years ago, an aneurism in a coronary artery caused my heart attack. It’ll take a lot more than baby aspirin and continued exercise at cardiac rehab to deal with the long-term results of this genuinely heartbreaking development. I so agree with you on this. What can we do to mitigate? Can you suggest a call to action of some kind? I grew up watching birds in the Skagit Valley of Washington and several times we delivered a comatose Trumpeter swan to the local farmer/bird rehabber after a day of birding. He would force fee the poor bird in efforts to manage the lead poisoning but more often than not the bird died. This was back in the early 80s, and more recently this farmer "was out of business" in the rehab side of things, thanks to lead ban in the hunting areas of the region. Sadly, this may put him back in business.